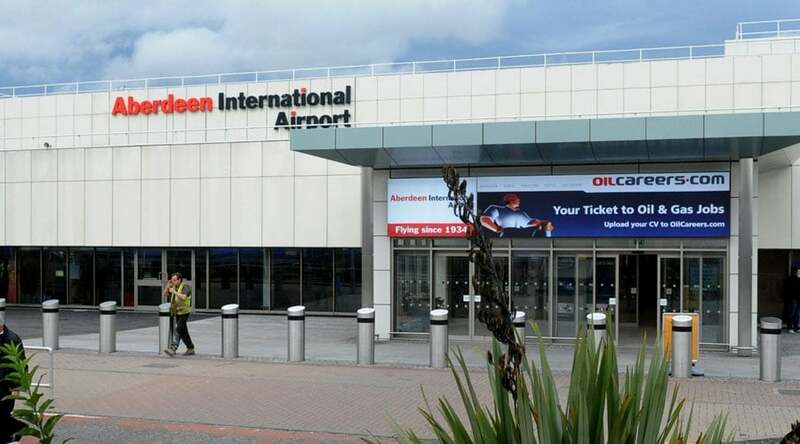 Located in the North of Scotland, Aberdeen International Airport is a hotspot for commuters and holidaymakers, becoming a central point for businesses and those looking to enjoy the beautiful, Scottish countryside. Starr Luxury Cars work with many companies and personal clients, offering corporate airport transfers to and from Aberdeen International Airport with a vast choice of executive cars to suit any budget. Having experienced first-class service in the air, ensure you reach your final destination in luxurious and sumptuously comfortable surroundings with Starr Luxury Cars. One of our dedicated chauffeurs will pick up from and drop off to any address in Aberdeen or the surrounding areas, ensuring your journey is prompt, efficient and ultimately opulent. We take pride in providing the most professional chauffeurs for Aberdeen Airport luxury transfers. Each reflects our morals and standards, ensuring the needs of our clients are our number one priority. Your personal chauffeur will meet you at the address of your choice, handling your luggage for you whilst you get comfortable in the prestige chauffeur-driven car of your choice and begin your journey. Your executive chauffeur will then concentrate on getting you to any address in Scotland or across the UK quickly and safely, leaving you free to spend your time relaxing, socialising or working as you see fit. Pre-book an Aberdeen International Airport chauffeur service and your chauffeur will be ready to meet you at the airport or your home or work address at whatever time you need. From the moment you meet, we will ensure you feel as relaxed and comfortable as possible, ensuring you experience one of the most luxurious journeys possible. Having made your prestige travel arrangements in advance, you can be sure to avoid the crowds and waiting times, leaving Aberdeen International Airport and getting straight into your chosen car. If you require further support once you’ve arrived, Starr Luxury Cars also offer a unique Aberdeen Airport assistance and hostess service, ensuring your waiting time is made as calm as relaxing as possible. We offer a prestige chauffeur-driven hire service across the UK with an ever-growing list of prestige cars for you to choose from. Whether you need one-off hire or a regular chauffeur service for frequent flyers, each booking can be tailormade to suit your requirements. From meticulously maintained BMW and Audis to Bentley chauffeur-driven cars, we have models that offer extensive space for individuals, couples and larger groups. Each has an impressive range of modern features, ensuring you can spend your travelling time in an environment which suits you. As well as climate control, ambient lighting and state-of-the-art technology, we also offer the option to select from a list of luxury extras, making your journey that bit more special. If you’re booking Aberdeen Airport luxury transfers for families, we have child car seats to ensure your safety, whereas couples may enjoy a glass of champagne upon arrival. We have our clients’ interests at heart, and our expert team will be happy to accommodate more specific requests when booking your next Aberdeen International Airport chauffeur service. We also travel to and from..
We monitor your flight and arrive suitably, so even if your flight is delayed or early we will meet you on time. Your chauffeur will meet you in the arrivals hall with a name-board, dressed in a suit and tie. You will also have his mobile number for personal contact.